I gave these flowers to a sweet friend on her birthday. My first time using kumquats in a bouquet. I chose to pair them with pink ranunculus, and the lovely ladies at the Bud Stop added the succulent and put it all together. I think they turned out well! 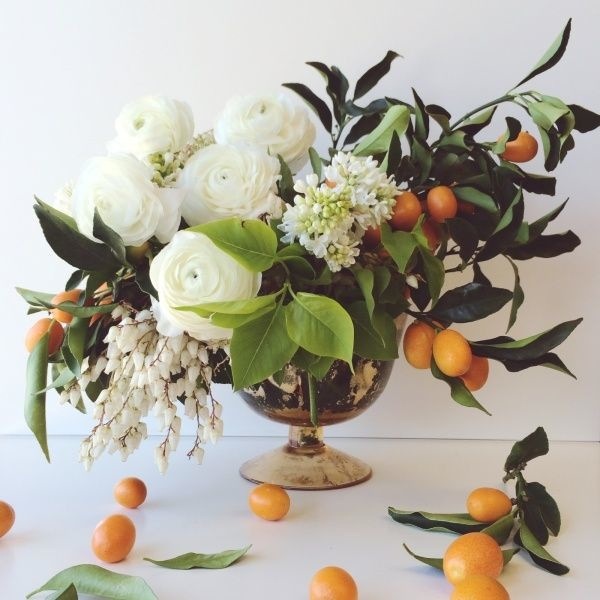 Some other images of bouquets with kumquats below. Try something different!